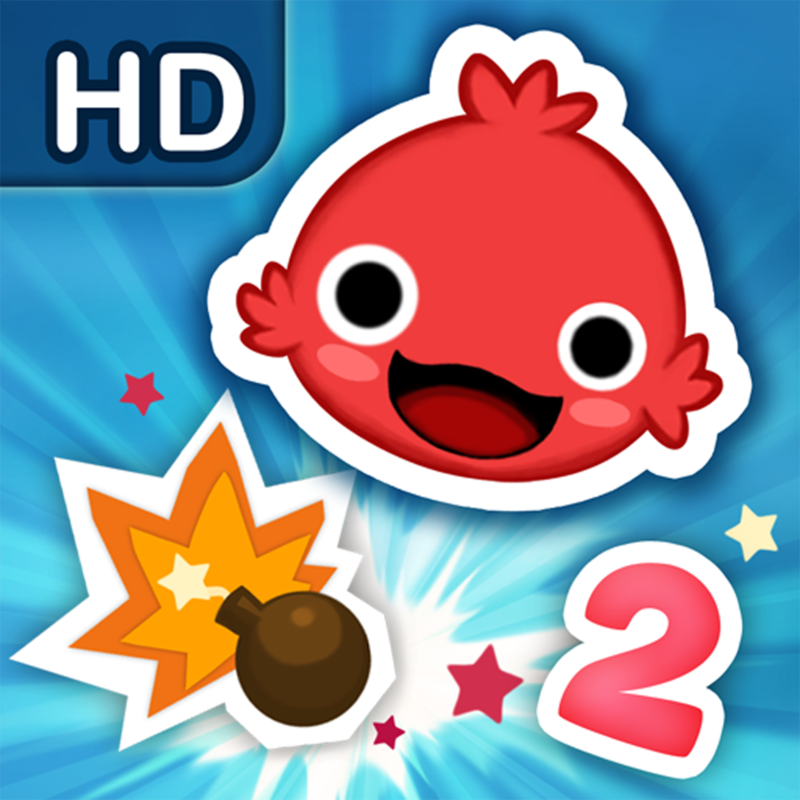 The game iBlast Moki 2 HD is now available for iPad . If you liked the first installment of these friendly little, the second has come with great force and improves earlier. The funny Moki want to escape and reach the vortex need them will bring the world to have been taken. You will have the opportunity to play 90 levels in 6 different worlds. In iBlast Moki 2 HD for iPad will have to use physics and the tools you get at each level, interacting with the elements you find in the screen. As you progress in the game you will have to use more different elements and complicated thing going. In this game for iPad you can use different types of pumps: sticky bombs, fast forward pumps, pumps with countdown ... Also find balloons and ropes to fly across the sky and you have to study well the screen elements to overcome level. Be warned though, there are elements in the level that will not help you. In iBlast Moki 2 HD for iPad you can have fun traveling through six different worlds in which you will find different elements and scenarios with which to interact. Each world has a different music so you can concentrate on finding the exit. Also if you can not beat a level you can look at some solutions from other players but that will cost you a 'Moki Coin' to be won during the game or buy for 0.79 € pack of 5 units .. The game asks you not only pass each level, if you get the three stars of each screen also have to collect all the flowers you find along the way, though some seem impossible can be collected all. In addition to flowers, you must finish the level in a time that does not exceed indicated or you will be penalized and will not get the highest score. iBlast Moki 2 HD for iPad is a game very addictive Puzzle type in which you'll break their brains to the next level. We have to admit that at first we were looking for the three stars but after a few levels you desire will be to improve yourself. You also have the option to create your own levels with the same editor you have created the whole game and you can share them with anyone. You can also play levels created by other players and you can sort them so that another person who will play with what you know is going to find. The game is hilarious and creative levels with no end. Download it from the App Store and try!